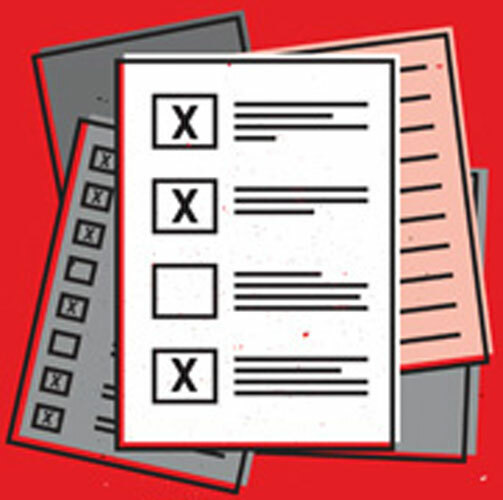 better assess available evidence and know where to look for more. Former regulators and CPRsouth board members, RIA executive chair Alison Gillwald, RIA Board Member Krishna Oolun and RIA associate Monica Kerretts Makau, join LIRNEasia chair Rohan Samarajiva to deliver regulatory training in Myanmar. Rohan Samarajiva PhD, Course Director, was Director General of Telecom Regulatory Commission of Sri Lanka at a critical time in telecom reforms. He designed the organizational structure of the Telecom Regulatory Commission of Sri Lanka and the Bhutan Info Comm and Media Authority. He conducted Sri Lanka’s first license-condition-violation proceeding and the first public hearing. He was Policy Advisor to the Ministry of Post and Telecom in Bangladesh (2007-09). He served as advisor to the ICT Regulatory Toolkit and the Regulation Body of Knowledge (both online) and the original edition of the Telecom Regulatory Handbook and authored the lead chapter of Effective regulation: Trends in Telecommunication Reform 2002. Geneva: International Telecommunication Union. He was the founding CEO (2004 – 2012) and is Chair (2004 –) of LIRNEasia. Previously he was the Team Leader at the Sri Lanka Ministry for Economic Reform, Science and Technology (2002-04) responsible for infrastructure reforms, including participation in the design of the USD 83 million e Sri Lanka Initiative. He was a founder director of the ICT Agency of Sri Lanka (2003-05), Honorary Professor at the University of Moratuwa in Sri Lanka (2003-04), Visiting Professor of Economics of Infrastructures at the Delft University of Technology in the Netherlands (2000-03) and Associate Professor of Communication and Public Policy at the Ohio State University in the US (1987-2000). He serves on the Privacy Advisory Group of UN Global Pulse. 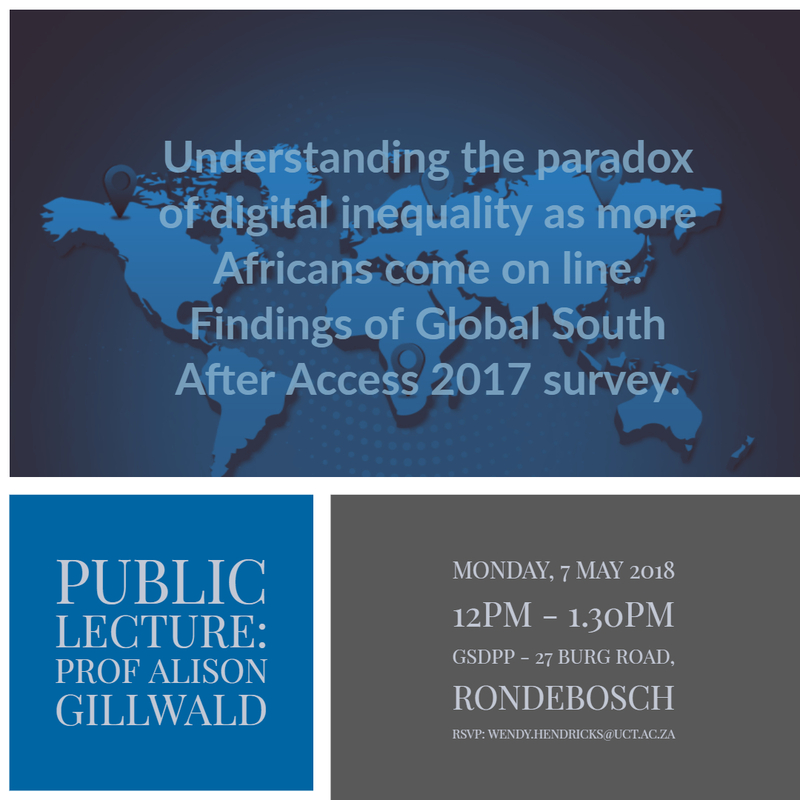 Alison Gillwald, PhD, was appointed by then President Mandela on the advice of Parliament in 1997 to serve on the founding Council of the South African Telecommunications Regulatory Authority (SATRA). Previously, she set up the policy department at the first Independent Broadcasting Authority in 1994. She also served on the first South African National Digital Advisory Body, which reported on digital migration in 2001; the board of the public broadcaster; the South African Broadcasting Corporation; and the Deputy Chairperson of the SA National Broadband Advisory Council. 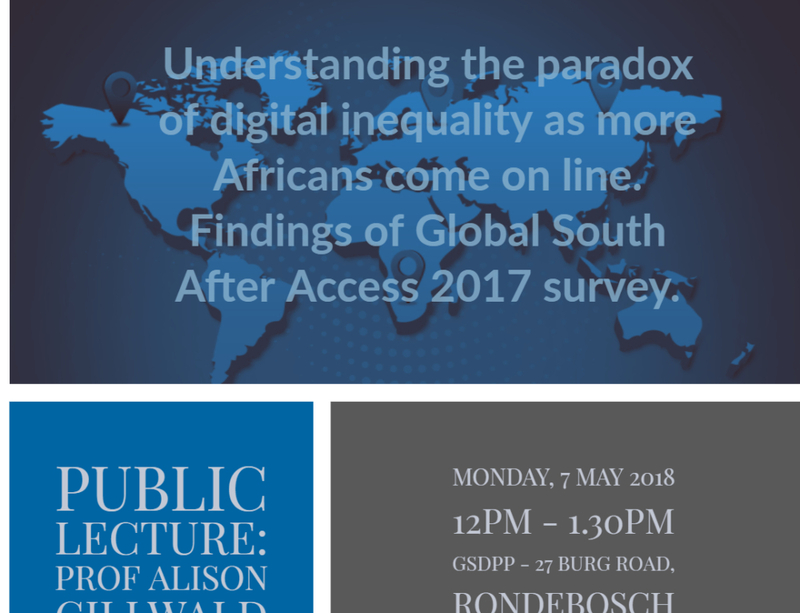 She is the Executive Director of Research ICT Africa (RIA) and holds an adjunct professorship at the University of Cape Town Graduate School of Development, Policy and Practice where she supervises PhD candidates focusing on ICT policy and regulation. In 2014 she worked with an expert group who advised the Ministry of Communication and drafted South Africa’s Broadband Plan: SA Connect. She also served on the Internet Corporation for Assigned Names and Numbers (ICANN) President’s Strategy Panel on Multistakeholder Innovation. She also sits on the boards of the Tertiary Education Networks (TENET) and the Western Cape Digital Foundation. Monica Kerretts-Makau, PhD, served as a Director in the former Communications Commission of Kenya between 2011 and 2014. She has served as the ICT Policy Adviser on Regulation and Universal Access in the Rwanda Utilities Regulatory Authority between 2007 and 2009. She also worked on several World Bank ICT Policy projects including one on Botswana’s ICT Regulatory Framework (2012- 2014). The Government of Somalia has recently approved her work on the regulatory and legal environment of the ICT sector, with the go ahead to set up a regulatory unit. She has worked as a consultant for the World Bank since 1997. She sat on the Advisory Board of the World Bank’s World Development Report 2016 focusing on the role of ICT and Development. She is one of the representatives for Africa in this panel, which is chaired by the President of Estonia. She is currently serving as a Council member of NEPAD, African Union’s policy governing council for Kenya and serves on the Board of SAHAM, chairing the governance committee. She is also currently teaching in the Managing Change & Strategy and Institutions and Public Policy programs at Strathmore Business School, Kenya. Krishna Oolun, PhD, was the Chief Executive of the ICT authority of Mauritius, the national telecommunications regulatory authority between 2005 and 2015. Prior to that he was a Senior Lecturer at the University of Mauritius. He was involved in the drafting of the White Paper in Telecommunication in 1997 following the commitment of Mauritius to liberalize the sector. He was also the project leader for the elaboration of the National Broadband Policy for Mauritius in 2012. He was the initiator of the 4th Generation Regulation model at the Global Symposium of Regulators at the International Telecommunications Union (ITU). He has been the Chair and a panelist of several ITU and Commonwealth Telecommunications Organisation (CTO) meetings and symposiums over the years. He has over 50 international publications in the field of Communication engineering, ICT policy and reforms, amongst others, including chapters in books, reports of the ITU, and reports of the Global Information Technology Report (GITR). Phyu Phyu Thi is a co-founder, and research and development manager of MIDO, a Myanmar organization focusing on Information and Communication Technology for Development (ICT4D) and Internet Policy. She is currently researching the impact of online hate speech on offline society, a case study of communal conflict in Myanmar. She spoke on a panel at the 2016 Internet Governance Forum (IGF) in Brazil, being the first Myanmar researcher to do so. She has also won a grant from the he National Endowment for Democracy (NED) to understand the ways in which a developing media sector in the country and a growing online community influence people’s perceptions and priorities during Myanmar’s political transition. She holds Master’s degree in Sustainable Development from the Chiang Mai University, Faculty of Social Sciences in Thailand.